If you need a prompt, reliable lawn mowing contractor who is experienced with large commercial jobs and offers competitive mowing rates, talk to Moore Mowing. To do a great job on large commercial or industrial jobs, we own and operate the right commercial mowing equipment. 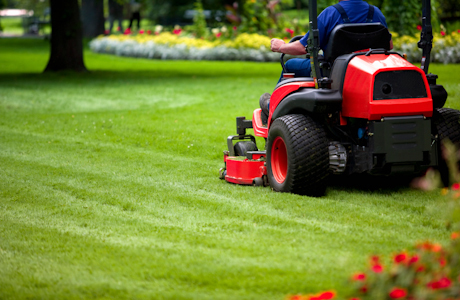 We can also advise you on how often you should schedule mowing to keep your lawns looking professionally tidy. If you have a special occasion and need an unscheduled mow, we are happy to accommodate your requirements. Our commercial mowing services can include grounds maintenance - spraying, tidying gardens, weedeating, tree pruning etc. We also mow lifestyle blocks, subdivision developments, factory grounds and more. Contact us to discuss your requirements or to get a commercial mowing quote now!